Bakubung Bush Lodge offers malaria-free safari lodge accommodation in the scenic Pilanesberg National Park, South Africa. Bakubung Bush Lodge offers guests a memorable and unique South Africa safari holiday experience. 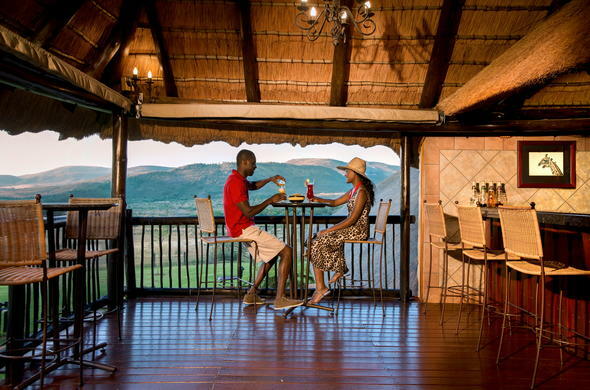 This North West Province safari lodge is ideally situated in the tranquil and malaria-free Pilanesberg National Park. Look forward to a range of exciting game viewing and family-friendly activities to enjoy. Pilanesberg National Park is home to a diverse range of bird and animal species. Track the Big Five, namely Lion, Elephant, Rhino, Leopard and Buffalo, during an exciting game drive. This North West safari lodge accommodation is also ideal for birders as the Pilanesberg National Park boasts over 360 different bird species.